Hi guys! I wanted to share a few pictures from the Frozen Party today with you. 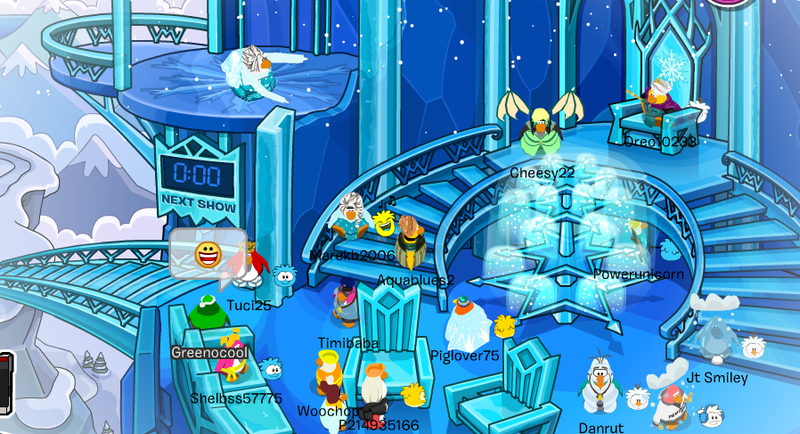 The Ice Palace is open since a few days and it seems like a lot of fun. Especially when it comes to the new furniture that you can get for free! Don’t forget to leave a comment and tell me what you think about it, ok? Good morning everyone. I wanted to tell you about my newest video (if you haven’t seen it yet) about Club Penguin. 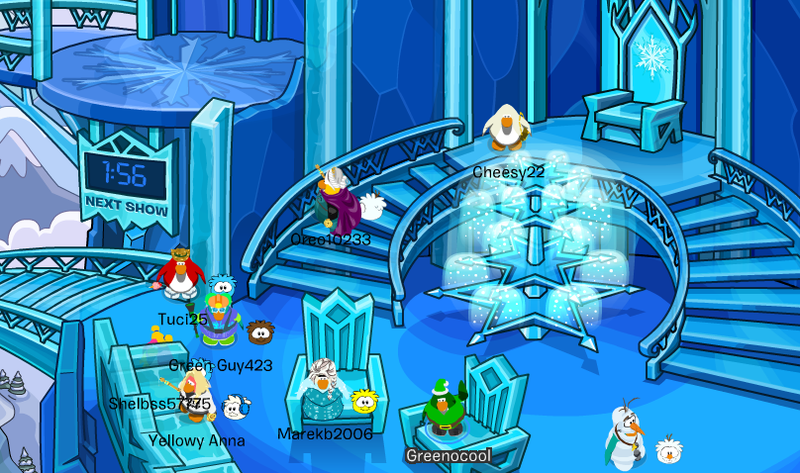 Since the Frozen Party’s here, I feel like making a video about it. It seems pretty decent so I hope the video will be so too. But I don’t have many ideas at the moment. That’s why I need your help! Watch the video in this post and comment HERE or BELOW THE VIDEO with an idea of a movie or short I could do. Now, I know this isn’t very right since I’m usually the one who has to come up with ideas; but you have to help me this time! Thank you for reading this and if you commented, thank you again! Hopefully I’ll be able to work on your ideas after my next video which is going to be a documentary. See ya! Hello everyone! The final of the four parts of my return movie is here. You can watch it by scrolling below or on YouTube. What I want you to do is comment on it because I haven’t been receiving feedback for my videos in the last few weeks. I also want you to subscribe to my channel, because that’s what keeps my channel running. Out of the 1500+ subscribers I had, are only a bit more than 1450 present. I haven’t received any new ones in the last month which is depressing. Don’t forget to visit this site more often, since I’ll be posting updates and info on my upcoming videos. Thank you and see you next time! Hi everyone. Today, I present to you – the 3rd part of my return video! It turned out to be a short movie after all. I hope you like it and please don’t forget to comment below it and tell me what you think about it, okay? I’d really appreciate the feedback! I also want to ask you to share the video (if possible) since I’ve started losing my fans and subscribers in the last couple months. And I’m sure most of you have noticed it. Thank you once again and see you soon!